Clean Energy and Sustainability are two of PST’s core values. They are fundamental for our vision of global developments in the energy sector. In order to contribute to a better world – for our business partners, clients and for coming generations – we offer LNG as a more efficient alternative to conventional fuels, for example LNG as fuel for transportation (Small-Scale-LNG Solutions). 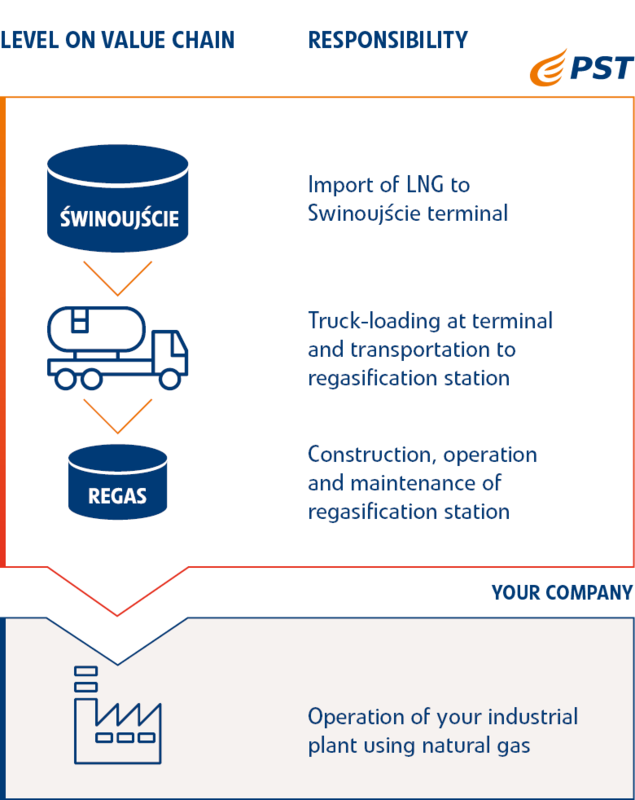 The LNG terminal in Swinoujście (PL) is the base for our LNG activities and enables us to provide you with security of supply and clean energy in the form of small scale LNG solutions. 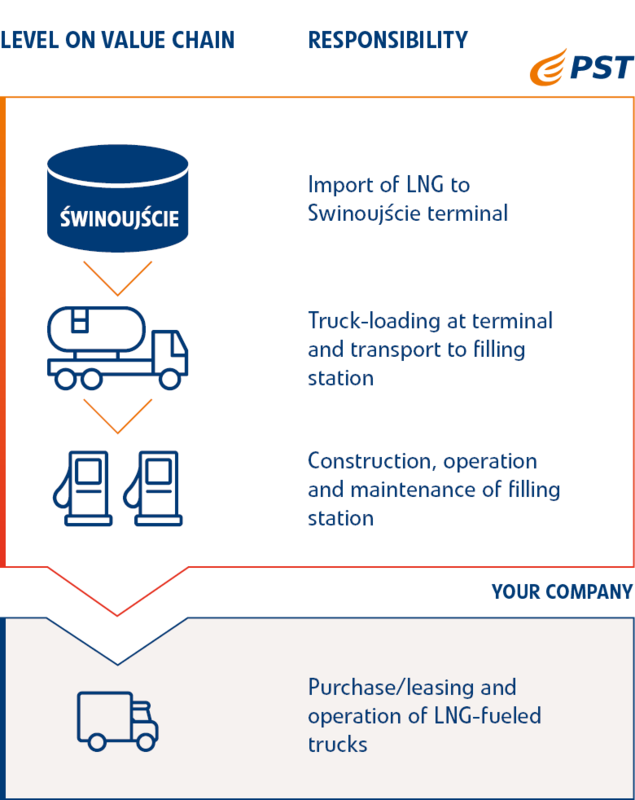 LNG is an efficient and cleaner alternative to conventional fuels for truck or cargo fleets and can even fuel energy-intensive industries without direct access to gas networks.